The Strategic CFO™ provides a Financial Coaching Workshop with topics created exclusively for entrepreneurs and CEOs. We show you how to develop financial leadership in yourself and your team. Most importantly, you'll learn the critical numbers to recognize in your efforts to improve profitability and cash flow. We teach teach a 1-day workshop semi-annually in order to fulfill the financial learning needs we've seen in CEOs over the years. Contact us for more information & to get your questions answered. Our CEO Financial Coaching Workshop occurs semi-annually. Space is very limited for this course. Don't wait to reach out and reserve your spot. Contact us for more information about our January 2018 workshop session. 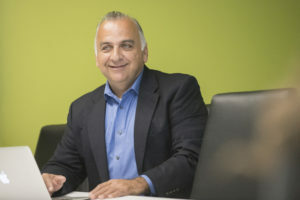 Dan Corredor, a 28-year financial executive, is a successful entrepreneur and financial leader. With 28+ years of total experience, Dan's expertise includes the following: mergers and acquisitions, due diligence, post closure business integration, operational and financial restructuring, accounting efficiencies, working capital and cash flow management. He understands businesses at every stage of the life cycle, further guiding participants in their unique situations. Dan further developed this coaching program for financial professionals in the role of CFO or Controller, with the workshops held at The Strategic CFO offices. He is able to bring a unique perspective by combining his professional experiences with his former accounting clients and now his consulting work with entrepreneurial companies to give workshop participants real-world applicable information. Learn more about Dan Corredor here. Contact us to learn more and see if it's the right time in your career for CEO Financial Coaching.